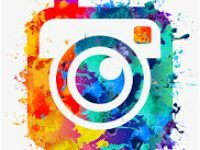 With the following 10 best photo editing apps for Android or iPhone, you can play with hundreds of amazing photo effects and edit your photos with photo frames, graphics overlays, texts and hundreds of extra flair effects which will change your photos in a very fun way according to your desire. Now you can edit your photos on your smartphones (Android or iPhone) without Adobe Photoshop. With the following 10 best photo editing apps, you can easily create stunning, professional and quality images with just a single click. PicsArt is the #1 photo editor and pic collage maker on Mobile. It contains effects, collage maker, camera, free clipart library, millions of user-created stickers and drawing tools. With their collage maker, drawing tools, photo editor, camera and more, PicsArt’s your all-in-one creative suite. And it’s FREE. 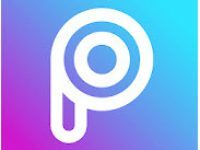 PICSART GOLD: PicsArt Gold gives you access to THOUSANDS OF PREMIUM STICKERS, FONTS, FRAMES, COLLAGES, AND MASKS! COLLAGE MAKER AND GRIDS: PicsArt’s collage maker provides 100s of free templates, & the PicsArt community uploads 1000s of new images every day that can be used as backgrounds. PHOTO EDITOR: With 1000s of amazing features PicsArt includes tools to create cutouts, crop, stretch, clone, add text & adjust curves. 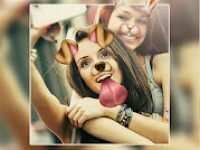 Photo Editor – FotoRus is another best app among best photo editing apps that have All-In-One & free Photo Editor pro and Pic Collage Maker Collage Editor and Photo Grid with many amazing Filters for Pictures, Layout, Frames and Text for Instagram! With this app, you can add new collage photo frames to your favorite photos on Instagram! Including Photo Collage Editor, Motion Stickers & Stickers, Selfie Filters, Professional Photo Editing tools, Selfie Camera, PIP Camera, Makeup Camera, Secret Album and Art Pics Effects Picture editor with layouts for colleges and frames for pictures. Classic and the most fashionable Photo Grid & Photo Collage Maker & Picture editor! There are lots of layouts for collages and frames for pictures. A camera with motion stickers is an amazing motion sticker face app and a funny photo editor. Take selfie videos with the amazing motion stickers and hilarious decorate face app effects and send them to your friends. 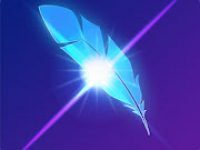 Over a dozen powerful Picture editor tool and must-have photo editing functions such as Filter, Text, Tilt-shift, Scenes, Adjust, Lighting, sticker, Light pen, Blur, Vignette and etc. Try our real-time beautiful selfie camera and take the perfect-looking selfie! Real-time selfie camera beautifies your face while you take a selfie. A wonderful beautify face app for you. Artwork effects & cartoon filters Picture editor is ready. Super easy-to-use cartoon photo maker. Fancy and creative, professional-studio, a selfie with one tap! Popular in over 40 countries! Great for edit photos with PIP camera. There are lots of fashionable Photo Grid & Photo Collage templates to choose, our photo grid frames come in Portrait, Square, Landscape, and Stripes modes to fit all your needs. Photo Editor Collage Maker is a powerful photo editor and collage maker for you to create amazing collage photos, stickers, backgrounds, text with layout and frames. It helps you stitch multiple photos with myriad layout frames and photo grids. This application has a simple design with a powerful collage maker and an amazing photo editor! 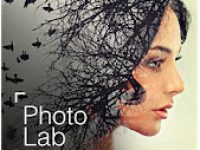 Photo Lab Picture Editor is one of the best apps among the 10 best photo editing apps with the vastest collections of stylish and funny photo effects. It’s consist of more than 800 effects to date. 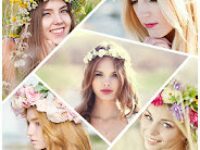 Fantastic face photo montages, photo frames, animated effects, and photo filters are here for you to enjoy. Neural Art Styles: a new smart (and quick) way to turn any photo into an artwork – choose from over 50 pre-set styles. Photo frames: choose one of our beautiful frames if you need a final touch to your favorite picture. Realistic photo effects: place your image in an unlikely setting. Airbrush it on an exclusive car or leave it as a sand imprint on the beach. You are welcome to get a new wonderful experience! Face photo montages: swap face easily and turn yourself or your friend into a pirate, an astronaut or a horrible monster. The most complicated montages are handled automatically by a face detection algorithm to create the most unusual selfies. 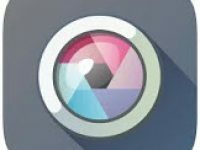 Photo filters: you don’t need a pro photo editor to add some style to your images with various photo filters such as Black&White, Neon Glow, Oil Painting and many others. Photo collages: create a wonderful picture of you and your friend floating together in a sentimental or futuristic setting. Pixlr (formerly Pixlr Express) is the right photo editor for everyone: whether you have never edited a picture or are a pro, Pixlr has all the tools and effects you need. It has over 2 million combinations of free effects, overlays, and filters. Once you edited your photo, you can share your photos directly on Instagram, Facebook, Twitter, or your other favorite social networks! Finish off your editing process with the right border – pick a style that suits you. Keep things fresh with our growing catalog of additional effects, overlays, and border packs. 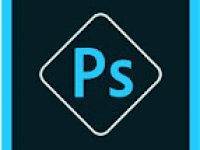 Adobe Photoshop Express is one of the best among the 10 best photo editing apps that has an easy quick and powerful editing tool. It gives you flexibility and control of images ranging from layouts, border size, color, individual pan, and zoom. This photo editing app combines a feature-rich photo editor with a richly creative collage maker with a ton live camera filters and effects to enhance in real-time and make other creative adjustments to your shots directly from the camera as you shoot. 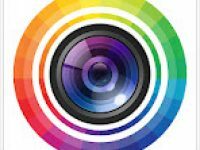 Edit pictures using various advance photo edit tools like Color mixing, Curves, levels and vignette effects. You can edit brightness, Contrast, Exposure, Hue, Saturation, Shadows & Highlights of pictures. A powerful photo editor app with many amazing photo effects, photo filters, sticker, and makeups! And Photo Editor with a Beauty Camera lets you smooth skin, remove blemish, slim face, whiten teeth, helps you look your best! Also, there is a Makeup Cam in photo editor that gives you a full virtual makeover – from lipstick, eyelashes, blush to hair color! And there are comprehensive Photo Filters and Photo Effects in photo editor lets you quickly be pro, even if you never edit pictures before! It offers the professional beauty selfie in one second. With different beauty levels in Photo editor app, you can choose how your skin and face look upon occasions and moods. It contains beauty camera for smooth skin and perfect face in beauty camera. 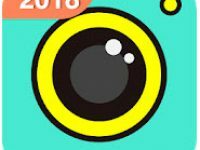 The 10 best photo editing apps listed above are based on the number of users and the number of votes they have received. All of them are free for Android as well as for IOS user. Download your favorite app and have fun with editing your photos. Moreover, Please don’t forget to write your feedback using the comment section below.